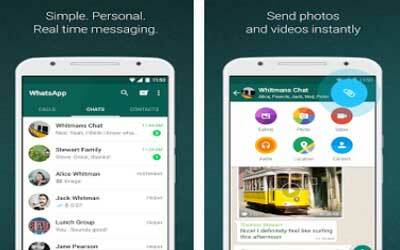 This is old version WhatsApp Messenger 2.16.195 apk for Android, you can install it if you want to downgrade or install old app. It is top Communication apps from WhatsApp Inc.. This is a feature that will allow you to send some pictures, videos and even music files to your friends. You can even send voice messages each other. The newest feature is the WhatsApp calling and in the future it will support video calling. It can give you the opportunities to have an internet calls without any additional fees at all. There are some reasons why people choose this app. This is one of the messaging apps that have a very comfortable group chat features. The groups are very lite and are easier to be used even when you have too much chatting window there. It also gives you the opportunities to do a web based communication by using the WhatsApp web. Some other reason why people love this app is because the lightness, it does not consume too much ram. It also offers a simple user interface. Even when you are newbie in using WhatsApp for android, you will still capable to operate it well.